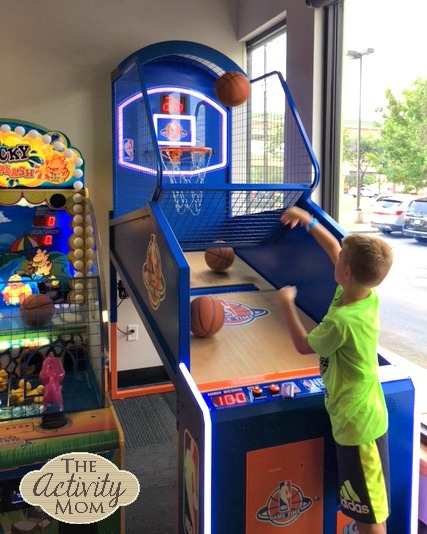 Chuck E Cheese’s family fun environment has gone to a new level of awesome! 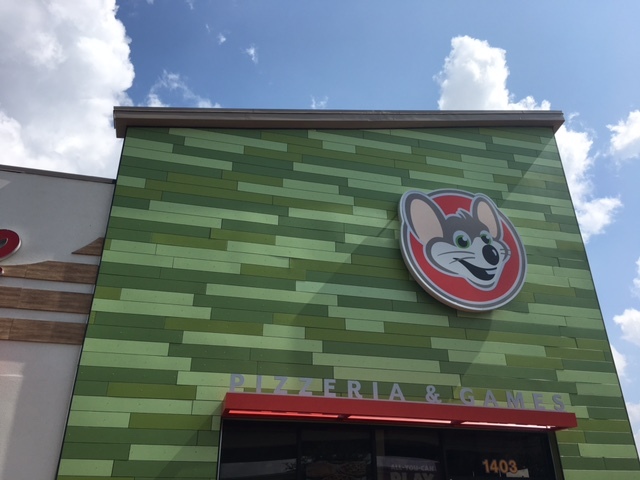 We went to the Grand ReOpening of Chuck E Cheese’s San Antonio location to check out the new layout, food, and family friendly design. What a treat! Right when we entered, the bright open floor plan relaxed me and the convenient kiosks got the kids started on games right away. The light up dance floor was a fun treat where Chuck E. visited each hour. 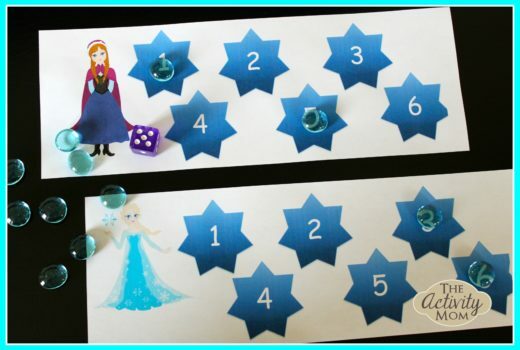 The games are arranged in groups that appeal to different age groups (Love this for moms of toddlers!). We each had our favorite games, but had a blast playing them all (even me)! 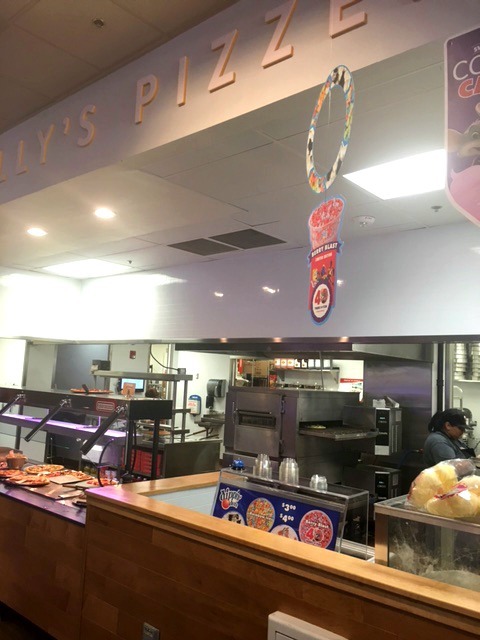 Not only was the pizza fantastic (the pretzels and wings too), but the new open kitchen design was neat for the kids to be able see what happens behind the scenes. 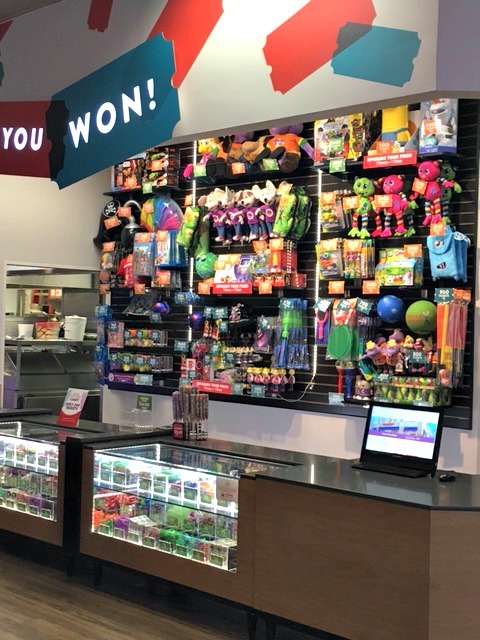 The new layout and design allowed more room at the prize area so it is easy for the kids to make their choices while I stood nearby. When we got into the car and my son said, “This was such an awesome day!”. We will definitely be back for more family fun! While we were there I learned that Chuck E Cheese’s offers Sensory Sensitive Sundays that support families with special needs. 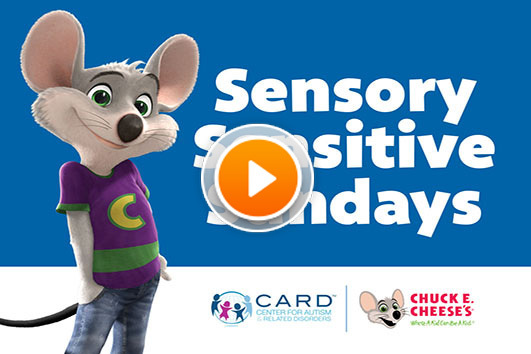 During Sensory Sensitive Sundays they offer dimmed lighting, less crowds, the show and the music turned off or down, and limited appearances by Chuck E. Make sure the list of locations that participate. 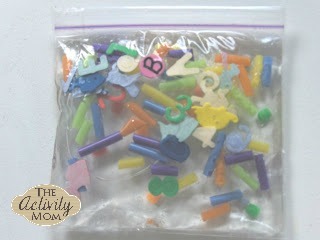 I LOVE that they are helping ALL families have fun, family time together!